The first 40 days after the birth of a child offer an essential and fleeting period of rest and recovery for the new mother. Based on author Heng Ou's own postpartum experience with zuo yuezi, a set period of "confinement," in which a woman remains at home focusing on healing and bonding with her baby, The First Forty Days revives the lost art of caring for the mother after birth. As modern mothers are pushed to prematurely "bounce back" after deliver­ing their babies, and are often left alone to face the physical and emotional challenges of this new stage of their lives, the first forty days provide a lifeline—a source of connection, nourishment, and guidance. The book includes 60 simple recipes for healing soups; replenishing meals and snacks; and calming and lactation-boosting teas, all formulated to support the unique needs of the new mother. In addition to the recipes, this warm and encouraging guide offers advice on arranging a system of help during the post­partum period, navigating relationship challenges, and honoring the significance of pregnancy and birth. 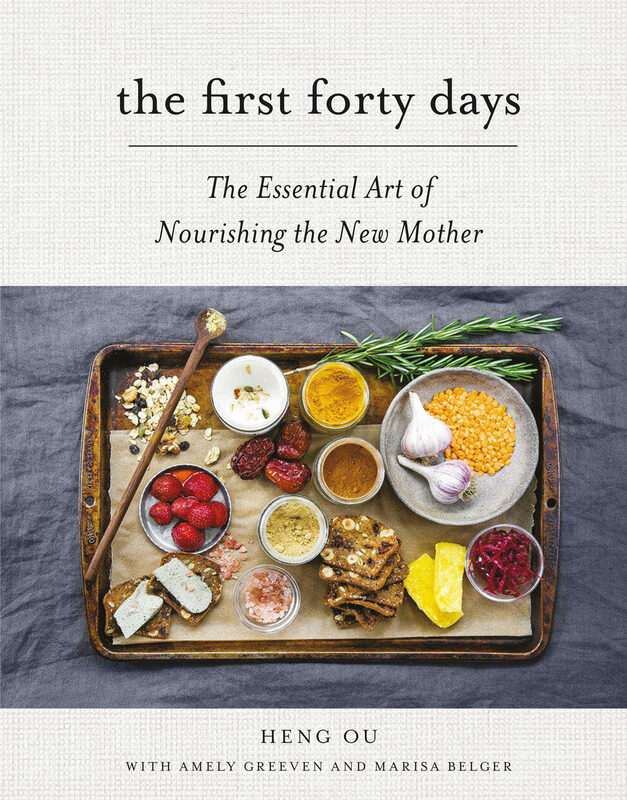 The First Forty Days, fully illustrated to feel both inspiring and soothing, is a practical guide and inspirational read for all new mothers and mothers-to-be—the perfect ally during the first weeks with a new baby.